SACRAMENTO, Calif. — December 9, 2015 — First 5 California, First 5 Association of California, and First 5 Los Angeles, today applauded the passage of S. 1177, the Every Student Succeeds Act (ESSA), calling it an important recognition of the nationwide need to expand access to quality early care and education. President Obama is expected to sign into law this reauthorization of the Elementary and Secondary Education Act (ESEA), which replaces No Child Left Behind. First 5 is working hard to close the opportunity gap that holds too many children back from their full potential and we know increasing access to high-quality early care and education is critical to that success. With more than 17 years of experience championing quality early learning, First 5, created by California voters, is the state’s largest network of advocates for children aged 0 to 5 with a mission to help build strong, effective and sustainable systems to address the full-spectrum of young children’s needs. “First 5 is working hard to close the opportunity gap that holds too many children back from their full potential and we know increasing access to high-quality early care and education is critical to that success. On behalf of the millions of parents and caregivers we serve, First 5 urges Congress to support and fully fund the ESSA. We must also increase the federal investment in the full range of child care and preschool programs, including the Child Care and Development Block Grant and Head Start. “There are more children in California than in half of the United States combined, including 1.3 million children, ages 0 to 5, who rely on First 5 for access to quality care. It is critical that the federal government provide states and early learning and child care providers with sufficient resources to both improve the quality of programs and expand slots to serve additional eligible children, particularly those from low-income families who do not have access to care due to the insufficient federal investment. The Every Student Succeeds Act, which passed both the United States House of Representatives, and the United States Senate with overwhelming bipartisan support, recognizes early childhood education and development as a critically important part of the K-12 continuum. It acknowledges the urgent need for the federal government to support states to require better coordination between and alignment of, early learning programs, preschool programs, and elementary schools to better ensure all children experience smooth transitions between programs and have the strong foundation they need to succeed when they enter the K-12 system and beyond. The bill creates a new early literacy program, a new Preschool Development Grant program, and contains other provisions that will provide additional resources for early learning. The enactment of ESSA will lead to better coordination and alignment between early learning programs and the early grades to create a continuous system that meets the needs of children through age 8. First 5 California, also known as the California Children and Families Commission, was established after voters passed Proposition 10 in November 1998, which added a tax on tobacco products to fund education, health, childcare, and other services for children ages 0 to 5 and their families. Its programs and resources are designed to educate teachers, parents, grandparents, and caregivers about the critical role they play during a child's first five years – with the overarching goal of helping more California kids grow up healthy and ready to succeed in school and in life. For more information, please visit www.ccfc.ca.gov. 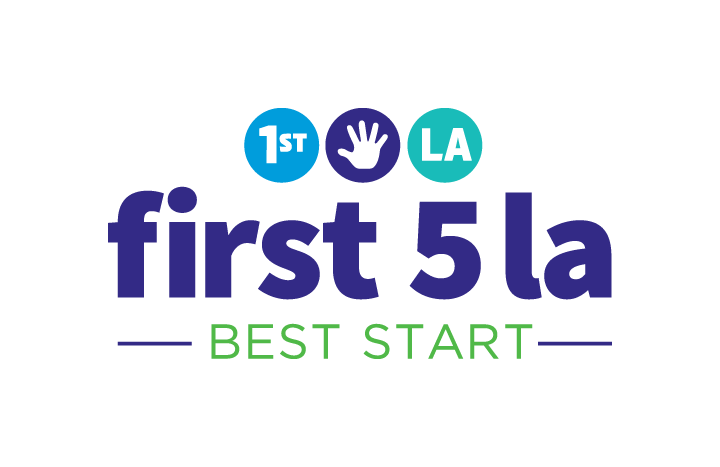 First 5 Los Angeles is a leading early childhood advocate organization created by California voters to invest Proposition 10 tobacco tax revenues in Los Angeles County. In partnership with others, First 5 Los Angeles strengthens families, communities, and systems of services and supports so that all children in Los Angeles County enter kindergarten ready to succeed in school and life. Please visit www.first5la.org for more information.